(CNN) - The company responsible for gas distribution in a region where a series of fires and gas explosions displaced thousands of residents will donate $10 million to the recovery effort. The utility is now facing a Senate inquiry and a class-action lawsuit. The president of Columbia Gas of Massachusetts, Steve Bryant, announced the donation at a press conference Tuesday. "In addition to the direct assistance we are providing -- and will continue to provide -- to our customers, this contribution represents our commitment to the long-term recovery of the entire community," Columbia Gas tweeted Tuesday. The $10 million donation will go to the Greater Lawrence Disaster Relief Fund, a fund that was established by lawmakers Tuesday morning to assist in the recovery effort after fires and gas explosions last Thursday displaced residents in Andover, North Andover, and Lawrence, Massachusetts. The fund will be administered by the Essex County Community Foundation, a local organization that manages charitable funds and works to improve "the quality of life in the 34 towns and cities of Essex County," according to its website. While the fires have been put out and the gas in the affected homes has been turned off, Senators representing the displaced residents are still looking for answers as to why these fires happened in the first place. In a letter addressed to the presidents of both Columbia Gas of Massachusetts and its parent company, NiSource, Massachusetts Sens. Elizabeth Warren and Ed Markey, citing briefings from federal officials, claim the pressure in the Columbia Gas system reached readings of 12 times higher than the system was intended to hold, and that the fires were likely linked to this over-pressurization. Representatives for Columbia Gas and NiSource have not yet responded to CNN's requests for comment. Both Warren and Markey are demanding answers regarding a detected pressure increase in a pipeline in Lawrence, Massachusetts, and the companies' response plan when last Thursday's incident was reported. They are also seeking copies of the companies' plans for any equipment upgrades, Columbia Gas' Integrity Management Plan, and its current emergency response plan for the affected area. The senators also sent a letter to the Pipeline and Hazardous Materials Safety Administration (PHMSA) at the US Department of Transportation, requesting additional information on regulations "intended to avoid incidents like this, or which direct the response to them." Among their questions: did PHMSA review Columbia Gas' Integrity Management and emergency response plans -- and did they find any part of those plans to be deficient? Both companies were requested to respond by Wednesday. Legal issues for the gas companies appear to be mounting. A class-action lawsuit was filed Tuesday on behalf of all residents who were forced to evacuate and relocate as a result of the fires and gas explosions. The lawsuit alleges negligence on the part of Columbia Gas of Massachusetts and NiSource, arguing that in October 2017, Columbia Gas identified 150 leaks in its distribution system that "required maintenance and nearly $27 million of leak prone infrastructure and gas distribution lines that required replacement," but that no replacements occurred prior to last Thursday's fires. 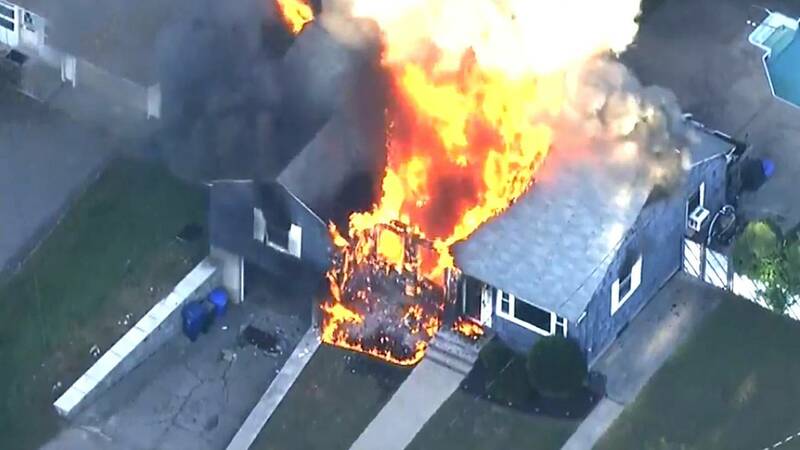 Their "failure to maintain and prudently operate the pressures in its antiquated and obsolete gas distribution system led to catastrophic failures, explosions, and fires throughout three towns," the lawsuit states. The lawsuit is seeking compensation for the residents, punitive damages, litigation expenses, as well as a court order for the gas companies to "stop operating their gas distribution system in an unsafe and injurious manner, and requiring that (the companies) implement such measures and procedures to ensure that their gas distribution system is operated in a safe manner," according to the lawsuit. "No one should have to walk into their home and fear for the safety of their family because their home could be a ticking time bomb," Frank Petosa, lead attorney for the plaintiffs, told CNN Tuesday. "We want the company to understand to put safety first, profits second."